Although Internet and phone service seems basic, it is something that your business absolutely needs. However, businesses often do not have the time to keep up with the latest developments and technologies when it comes to their Internet and phone service providers. Innovations in both broadband Internet and phone service have improved quality and access while reducing overall costs. If you haven’t evaluated your basic communication services recently, you could be overpaying for inferior service. Let iT1 Solutions take a look at your current Internet and phone service plans to find out if you could benefit from switching. It used to be that the only two options for Internet were dialup networking and a T1 line. Choosing a phone service was a simple matter of going with the provider who offered the lowest per cent rates. However, today, office communication systems are much more complicated. Internet options range from T1 lines, frame relay, and DSL to cable, fiber optics, satellite, Wi-Fi, 3G and 4G, and even Virtual Private Networks. Options such as VoIP phone services add new decisions to phone service. Toll-free numbers and long distance rates have fallen dramatically, but it’s often hard to compare rates thanks to a myriad of options such as pre-paid plans and bundled phone services. With so many different options, it is difficult to know where to start when selecting an Internet and phone service for your business. It is even more difficult to determine which Internet and phone service fits all of your business’s needs. As experience Internet and phone service consultants, iT1 Solutions understands today’s technologies and service offerings. 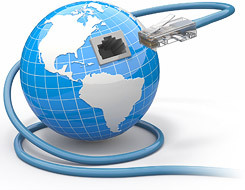 We can quickly determine how the various Internet and phone plans compare to each other. Not only do we get you a better deal, we focus on matching you with the right services for your needs. While we have partnerships that allow us to deliver value-added services at a better price, we’re driven to learn about how you run your business and what you want to accomplish. By taking the time to fully understand your Internet and phone service needs, we can then get to work to find you the right options. iT1 Solutions can help you wade through the options and find a cost-effective plan that truly meets your needs. Let us help you slash costs, get better services, and take advantage of the latest innovations in Internet and phone service technologies. Contact us today to schedule an Internet and phone service consultation.